MY HEAD HURTS, IS IT A TENSION HEADACHE? The odd headache is nothing to worry about – we all get them from time to time, and generally speaking, they resolve on their own, meaning medical help need not be sought. However, in some cases, headaches can be so severe or regular that they begin to impact on our lives. It is at this point that it might be worth getting some advice from a doctor, such as our private doctors here at London Doctors Clinic. A headache of any kind can be a pretty miserable and trying situation. A headache is a pain in the region of the head and neck, and broadly speaking, there are three common types – migraine, cluster, and tension. Headaches can be either primary (not associated with an underlying condition) or secondary (associated with a condition such as meningitis or in rare cases, a brain tumour). Do I Have A Tension Headache? A tension headache is a headache that feels like a constant pain that affects both sides of the head. 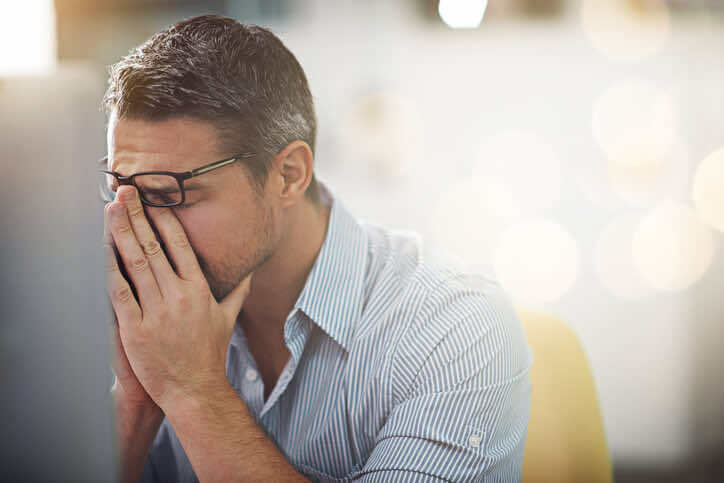 If you have a tension headache, you may feel as though there is a pressure built up behind your eyes, which can make it difficult to keep your eyes open. You may also find that the muscles of your neck and shoulders or upper back are tight and achy. We will talk more about the specific symptoms of a tension type headache later on in this article. An occasional headache is nothing to worry about, especially if it resolves with treatment. Sometimes headaches can be an indicator that a more serious health issue is happening. Your doctor will ask you lots of questions about your headaches and your lifestyle. You may be encouraged to keep a headache diary, detailing the cause, severity and duration of your headaches and this may help you to identify triggers and effective treatments for your headaches. Diagnosis will usually be based on your clinical signs and symptoms. In more severe cases, when your headaches are so regular or severe that they are affecting your life, you can think about taking a medicine called Amitriptyline. In very severe cases, a referral to a Neurologist might be helpful. For professional medical advice as to how to manage your headaches, why not speak to one of our experienced private GP’s today? With nine private clinics across central London, we should never be too far away when you need to find a GP!